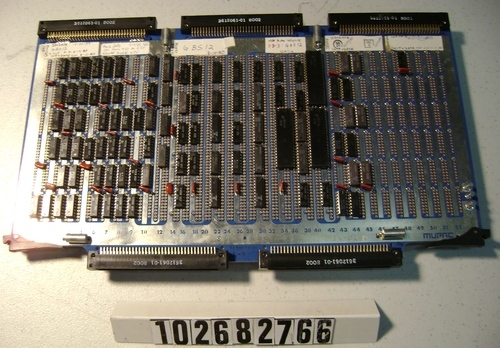 The object consists of a wire wrap board and five labels on the front side and one on the wiring side that lists dates and wiring change infomation. Inspection dates includes: 8/12/80; 11/11/81; 8/14/80and 10/10/80. This is probably a Foonley proototype board.